With many years of experience and local knowledge, Beth and her team of conveyancing solicitors can help you successfully complete. Call us for a quick chat so we can find out what type of property you are buying or selling, and then we can give you a highly competitive fixed-fee quote—with no hidden extra charges, guaranteed! We can give you a fixed-fee quotation directly over the phone or by email if you prefer. Unlike national firms who spend millions advertising on television, as a local firm we can use our extensive knowledge of properties in the Scarborough, Whitby, Driffield, Bridlington and surrounding areas to not only give a competitive quote, but also help you in ways that larger law firms (who do not know the region) are unable to provide. Whether you are buying or selling a property, sometimes there are huge amounts of money changing hands and that’s one of the biggest benefits of using a solicitor to handle your conveyancing. Our stringent due diligence process will guide you through an otherwise very stressful period, and both the identities and bank accounts of the other party you’re buying from (or selling) to are carefully checked prior to any payments. Also by passing money through our SRA regulated ‘Client Account’ you can be rest assured that your money is being carefully looked after, at all times. Or fill out the form below, and we will call you. Thank you. If you are buying a newly built property, or buying ‘Off Plan’—where the property you are buying has not even been built yet—then we can take care of various essential aspects of the process for you. Conveyancing for a new build is different in a number of subtle ways. For one thing, the developers may be putting you under a lot of ‘time pressure’, and with that in mind we can certainly assist you and take a lot of the stress out of the process. Also for a new build the paperwork can be more involving and we will carefully check all of that for you — reviewing critical documents like the original planning permissions, checking building regulations, road adoption agreements and house building warranties, and checking for any drainage issues, car parking problems and so on. Basically we check everything to make sure it is all correct and not going to cause you any problems later on, after completion. ... as Good as the Show Home? Perhaps you have seen the developer’s Show Home and thought how nice it looked? Well of course the show home is going to be one of their best properties. It is designed to impress you into buying. So, one of our jobs with new build conveyancing is to make sure the home you are actually buying is as good a house as you can buy, that it ticks all the boxes and meets all the important criteria of a new build house. Unlike some solicitors and nationally advertising conveyancing firms, we are totally independent. Which means we will be acting in your best interests and for you only. We are not connected with any developers or banks. Of course we hope you use us for your conveyancing, but whoever you use, make sure they are independent. It can make a BIG difference. If this is the first time you have bought a home, we realise the whole process is probably quite daunting! If you are new to the process of buying a home and are doing it all for the first time and this is your first mortgage... do not worry. We understand it may feel like a jungle out there, and our aim is to help you get through the process with as little hassle and stress as possible. By the time you come to us we suspect you have probably already jumped through quite a lot of hoops. You may have already been through an estate agent, got a mortgage in principal, sorted out valuations and so on. So at this stage you may really be in need of guidance. That is where we can step in and take care of everything for you. We will ‘hold your hand’ and carefully guide you through this process, to not only remove as much stress as possible but also to advise you on additional things that may be available to you, like the government’s Help to Buy ISA scheme, stamp-duty reductions, and so on. Get in touch for a chat and we look forward to helping you make the exciting first step with your new home. Our fees for doing your first-time buyer conveyancing are competitive, and especially important for first-time buyers we provide a friendly and personable service which we know you do not get with many of the larger firms, many of which just use call-centers. With us you get the same friendly people every time you call! Buying or Selling a Leasehold? We are very experienced dealing with leasehold properties, including newly converted flats, newly built flats and existing flats. We can talk you through all the legal aspects of the lease, the maintenance arrangements, liabilities and so on, and basically explain what you are taking on, and give you peace of mind that the lease is suitable for what you are going to do and what you are buying it for. Buying or Selling a Freehold Flat in Scarborough? We are very experienced in dealing with freehold flats - which are unique to the Scarborough area. And again, we can ensure that you are meeting the requirements of the few remaining banks that will lend on them. And of course, we maintain as high levels of security as possible which is vitally important for cash buyers. 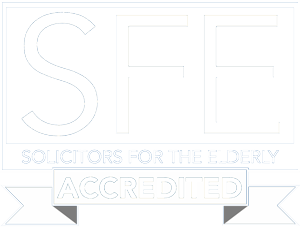 We are Conveyancing Quality Scheme Accredited by the Law Society, and are fully equipped to deal with mortgages. We are on the majority of 'panels' which allows us to deal with residential conveyancing for people either purchasing or re-mortgaging. "Tracey was very personable. Selling your home can be a very stressful and an emotional time. Tracey took some time to get to know some personal things about me and treat me with a friendly but always professional manner. I wasn’t expecting this! Right from the moment I met her at the office I had every faith that was she was reliable and a real hard worker. I truly appreciate all she did." "Very much appreciated being informed by email, telephone and mail of progress on the sale and purchase. Always Vicky or Beth available to talk to regarding the progress and any problems and delays due to the chain and queries which occurred." "I have been very happy with the way you conducted the sale of my house in what was a difficult transaction, caused by the purchasers inability to meet the completion deadline on two occasions. All the staff were efficient, friendly and a pleasure to work with." I was referred to Jepson, Longstaff and Midgley from the developers/CPH Agents. I was looked after very well by Tracey Stephens. Tracey kept me up to date on every step of my sale in London and my purchase in Scarborough. Tracey was very helpful and knowledgeable and I would have no hesitation in recommending her. "Thank you very much for making the house sale process go so smoothly and quickly. Contracts exchanged on 30.1.18, completion took place on 31.1.18 and the funds were safely received into my bank account on the day of completion. All paperwork was clear, timely and straightforward. All phone calls were timely and friendly. Many thanks for making the process so easy." "Thank you for completing the conveyancing in a speedy and efficient way. We were particularly impressed with speed the searches were done and explained. The exchange of contracts and completion went very well. Thank you and kind regards to all staff."